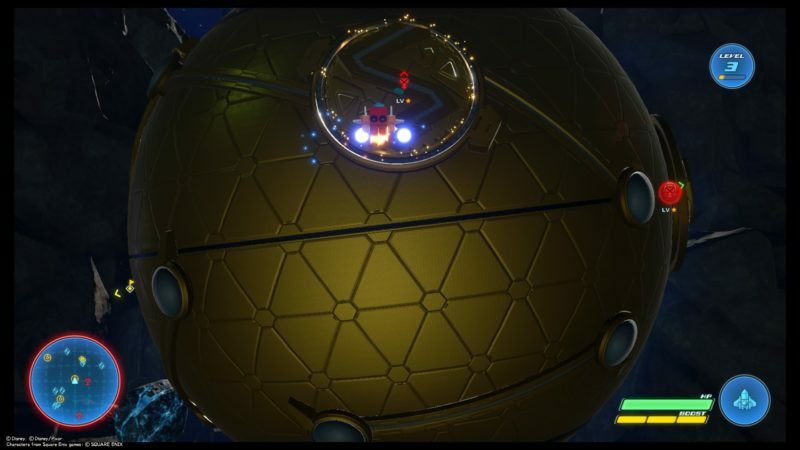 In Kingdom Hearts 3, you can use your Gummi Ship to travel between worlds, and battle all kinds of Heartless. There are also treasure spheres scattered all over the Ocean Between. Here’s how you can unlock these treasure spheres in KH3. These spheres are all around the Ocean Between. Look at your radar to find them. They are represented by yellow orbs on the radar. 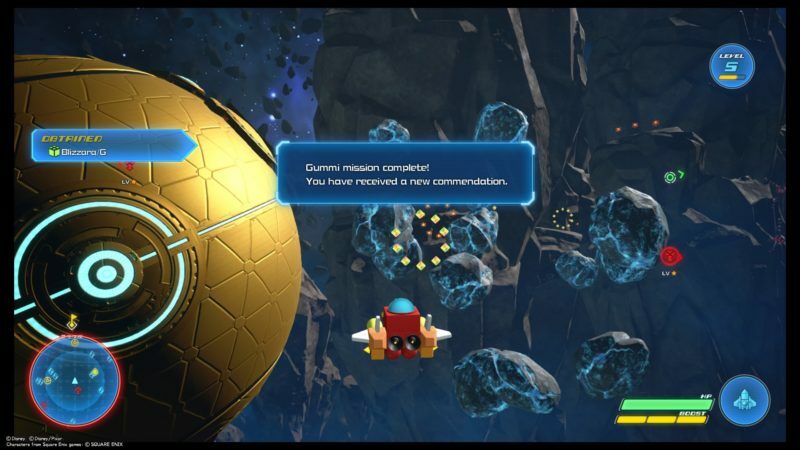 To unlock them, fly near them with your Gummi Ship. 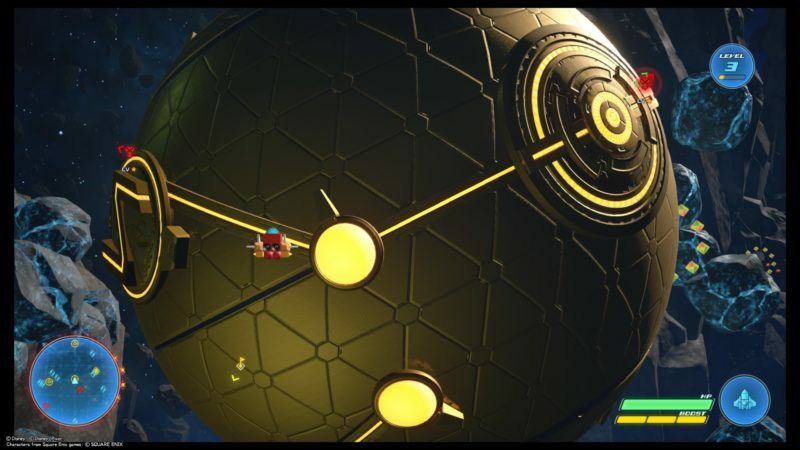 The process will then begin where your ship will fly around the sphere. To unlock it, keep shooting the movable parts. They will keep rotating and stop shooting when it aligns with the lines. Once it aligns, it should have this yellow glow to it. 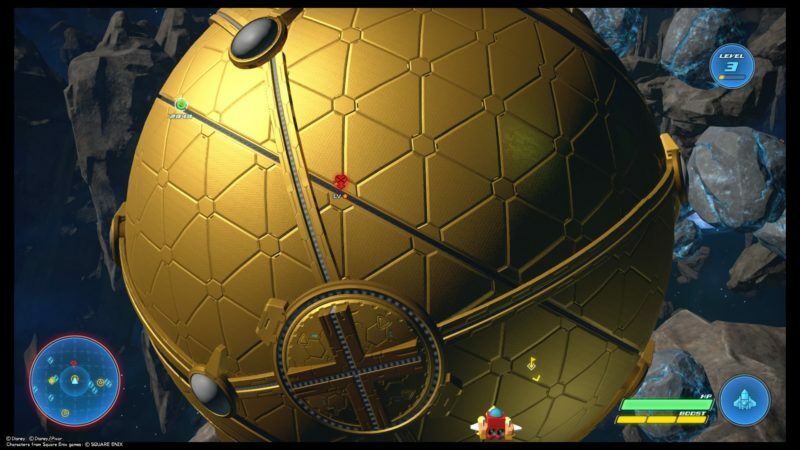 There are several spots on the sphere where you have to realign. 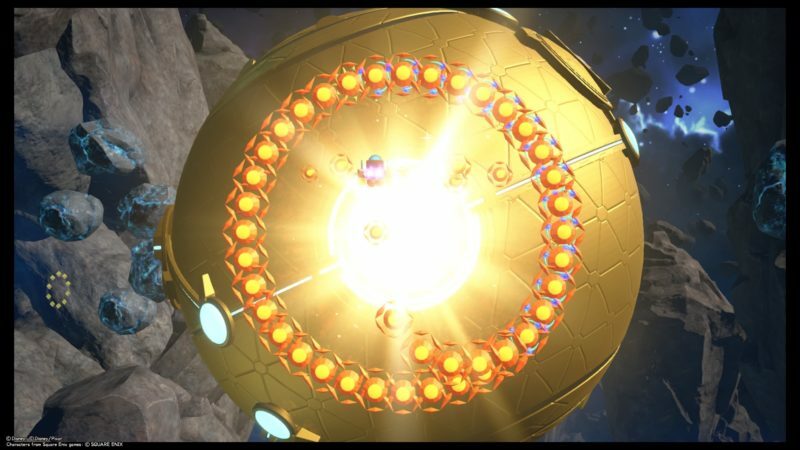 Once you’ve completed all of them, the sphere will glow with a bright light. The best part about this is that you will earn all kinds of items. For e.g. you can even get a Blizzara that you can install on your ship. Do more of these spheres to gain even more items.